100% fluorocarbon nylon, 63" long (enough for 2 sets). String gauges are 0224 (.57mm), 0260 (.66mm), 0291 (.74mm), .0358 (.91mm). 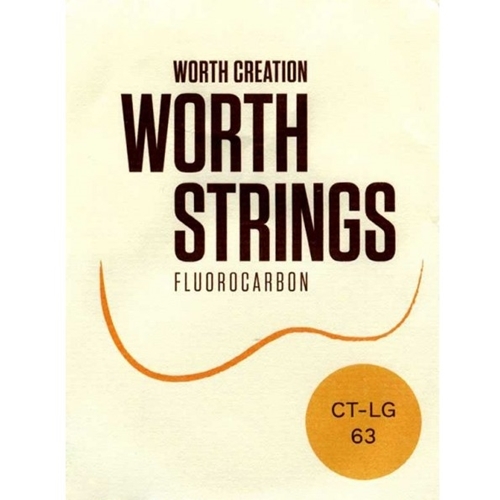 Clear strings have a brighter, more forward sound compared to Worth brown strings.